If the water in your home in Nashville, Tennessee, isn’t living up to your expectations of what good water should be, then you might want to consider investing in a RainSoft home water filtration system. We offer a wide variety of whole-house water filters that are designed to address many of the most common water quality problems, issues, and concerns. Following a complimentary in-home water hardness and drinking water test, your local authorized RainSoft dealer in Nashville will be pleased to recommend a system that’s right for your family’s needs. 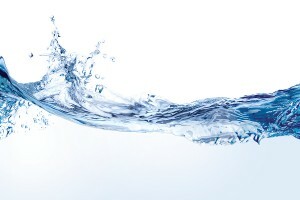 Our number one goal is to supply you a system that provides affordable, long-lasting protection against various waterborne impurities, everything from iron and other trace metals to volatile organic compounds (VOCs) and chlorine (a water supply disinfectant that’s no longer necessary after your water exits the tap). Tested and Certified by NSF International and the Water Quality Association – NSF International and the WQA are two of the most respected independent product-testing organizations in the world. Their seals of approval mean that our products work exactly as advertised. Assembled in the U.S.A. – All RainSoft products are assembled in our Chicago-area, ISO 9001-certified facility. Backed by a Limited Lifetime Warranty – Any mechanical problems that should arise will be covered by one of the best warranties in the residential water-treatment industry. When your buy a RainSoft product of any kind, you are buying it for life. For more information with regard to purchasing a home water filtration system for your home in Nashville, TN, please contact your local authorized RainSoft dealer today.